Meet my early birthday present to myself! 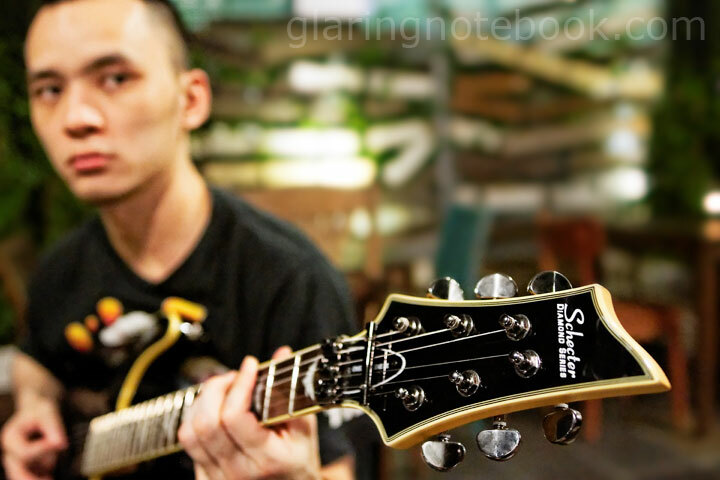 Bolt-on neck – though this is slightly angled which makes it nice to lean your head on when it is in a gig bag. 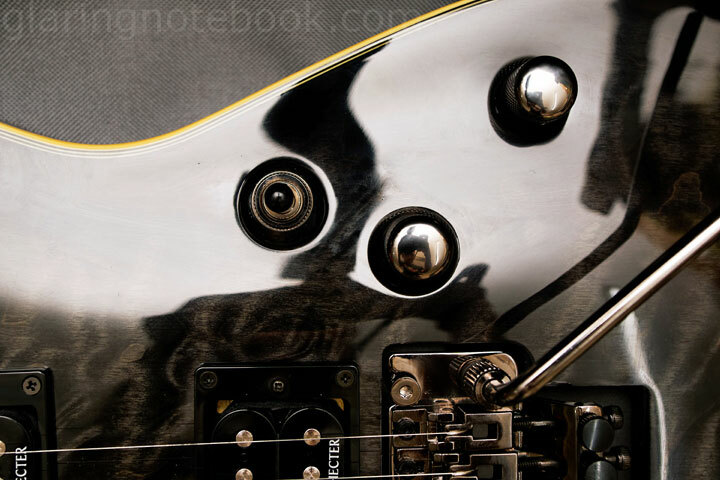 So you might ask – why not an Ibanez with a humbucker-single-humbucker (2-1-2) setup? You get 5 positions in that switch. 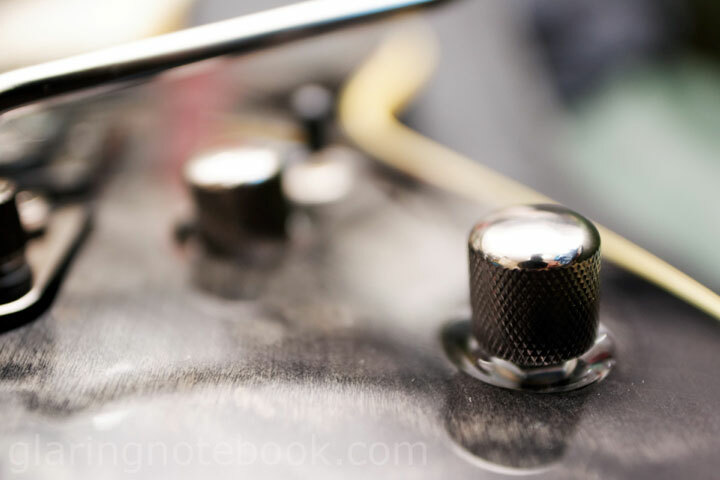 …but multiply those options by 2 since the Tone knob can be pulled up to switch to single-coil mode. Of course, this means I don’t get a single/humbucker mix like in positions #2 and #4, but I get a single coil sound at the neck, or bridge, or both. 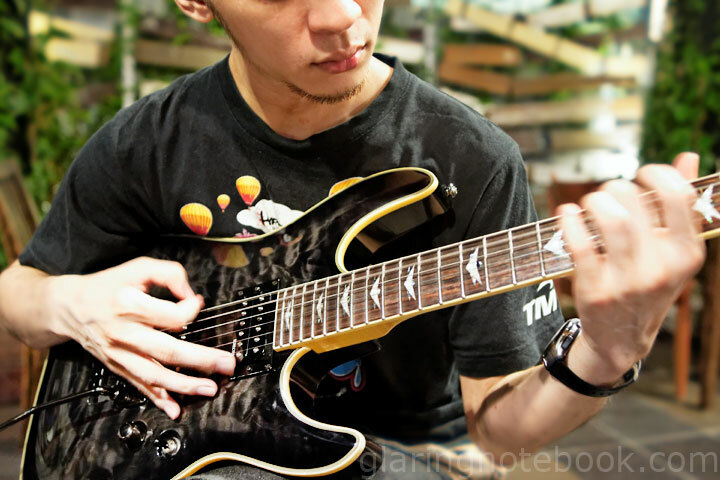 Although I’ve always hankered for a Ibanez Gio SA in butterscotch, I was deeply saddened to find that it had only 22 frets. 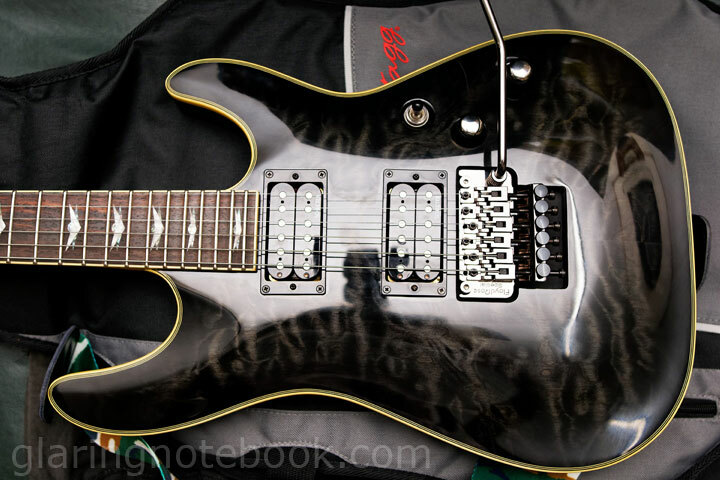 Also, Ibanez’s necks tend to feel a bit cold and impersonal to me. Maybe it’s the finishing of the back. 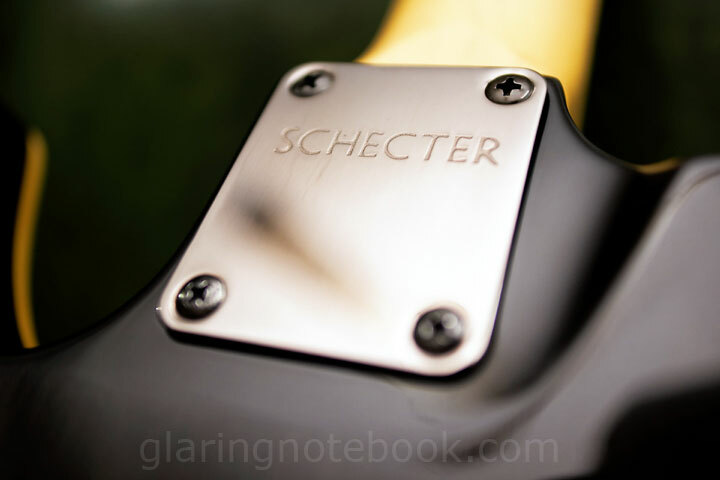 The Schecters generally come with thicker necks – not size 0s. 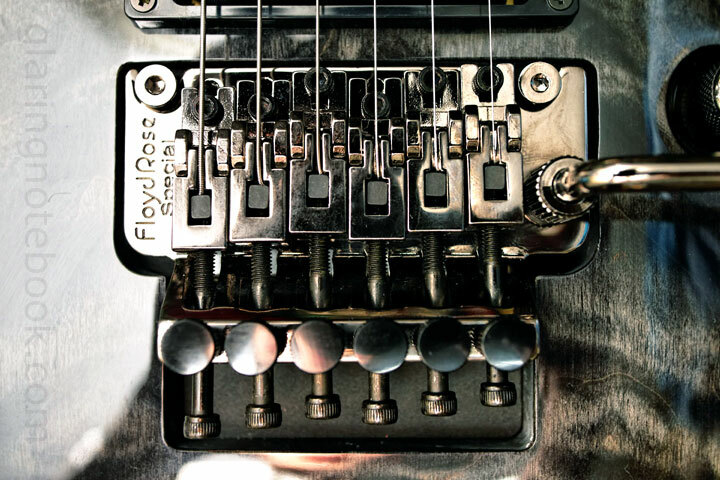 The FR in its name is for Floyd Rose – it has a licensed Floyd Rose Special floating bridge. I picked this for my love of Pantera! 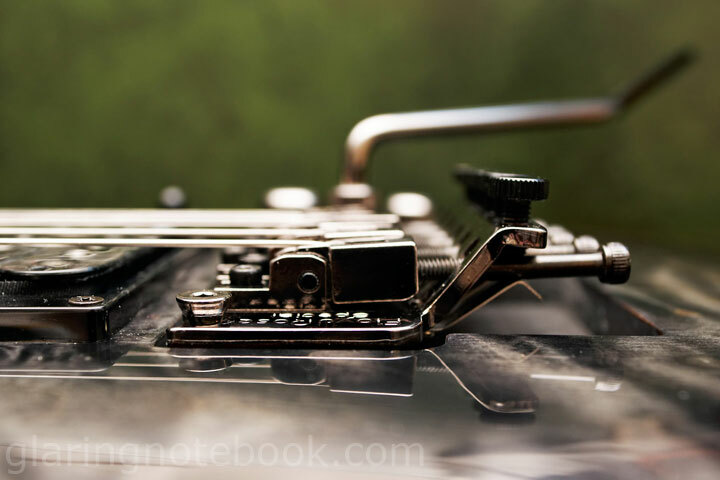 Somehow, the idea of your strings being held by a metal block is a bit eerie. …since the double-locking nuts are already in place. Gotta dig the 1st fret inlay too! 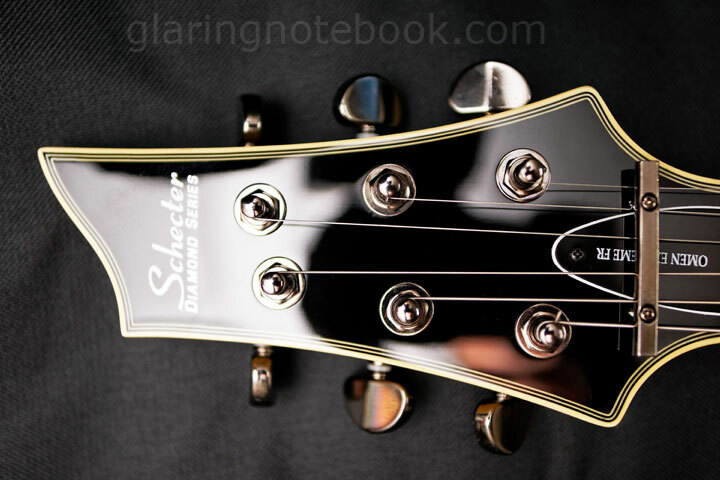 Those of you with sharp eyes might notice that the low E string is missing! 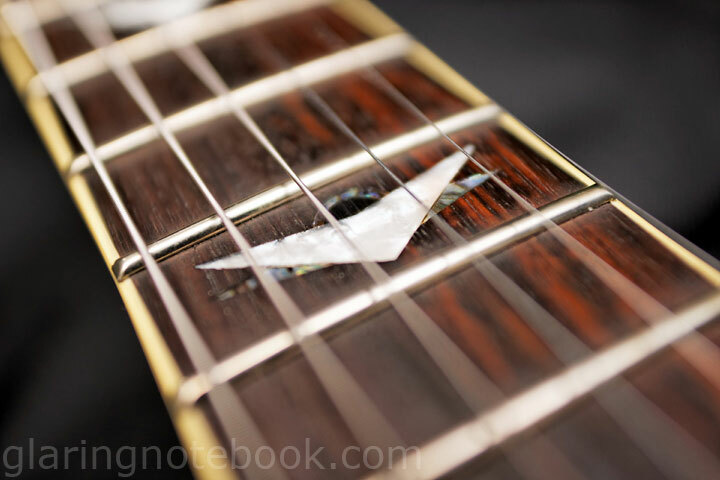 This was because I tried doing a divebomb, then pulling it up to see how far it would go… and I snapped the low E string! Who would’ve thought? 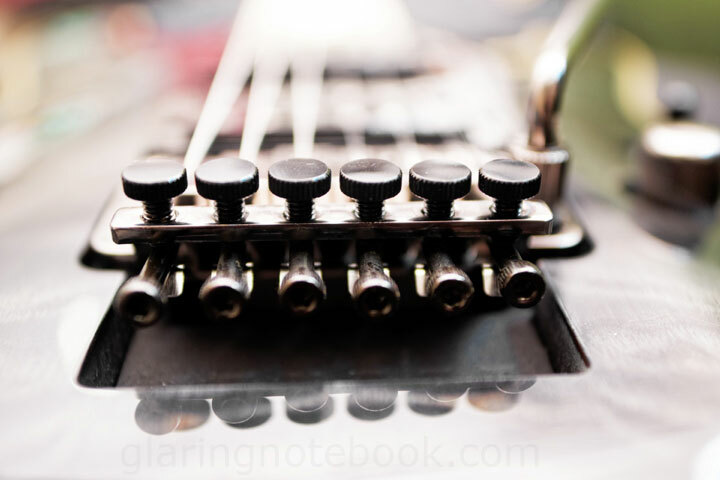 And so, I learnt how to tune a Floyd Rose and adjust the back spring tension. It wasn’t that hard, though tuning up takes forever! 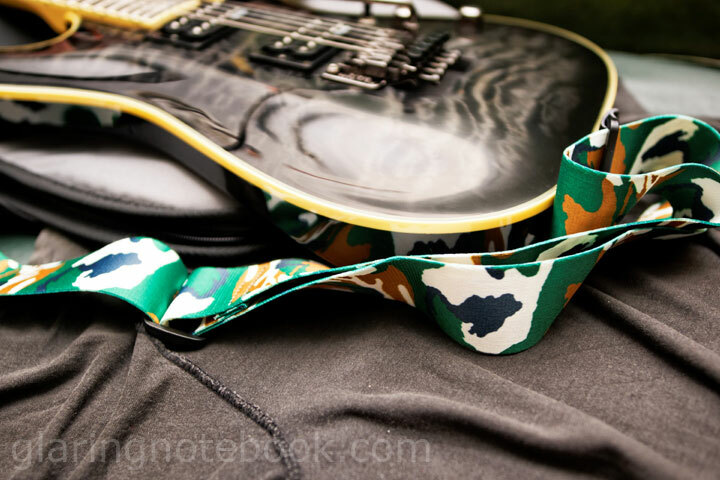 So the low E string you see in other pictures is actually an Ernie Ball 0.042 Slinky. In retrospect, since the string broke at the bridge, I could actually feed it into the block again. Alas! 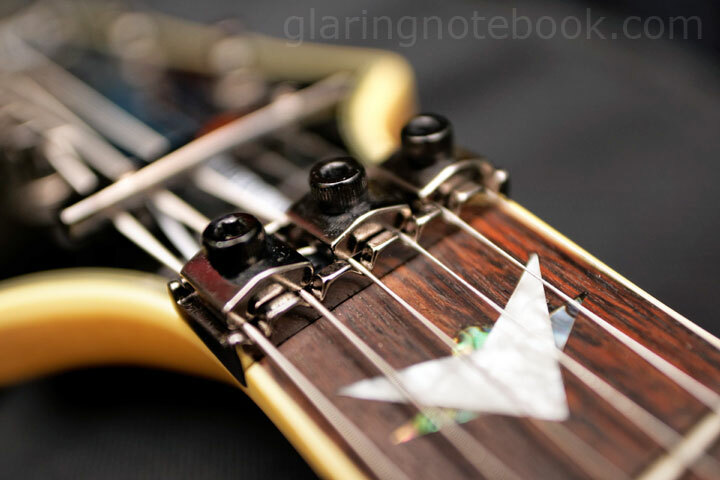 When I got it from the shop it was leaning slightly back – here I’ve reduced the spring tension so the bridge is floating parallel to the body. Though it does make for stiffer action. I bought a set of Ernie Ball .008-.038 Extra Slinkys to replace the strings when they wear out (and D’addario XL’s in .009-.042 – like the ones that came with the guitar). I learnt my lesson when breaking a string on my first night – to stock up! All pictures with the Sony DSLT-A77 with Sony Carl Zeiss Distagon T* 24mm F2.0 ZA SSM. This entry was posted in Geek, Music, Pictures on December 5, 2011 by 2konbla.